Spanish Fork Spanish Fields Homes for Sale; Search Homes for Sale in Spanish Fork Utah. Our search offers the best online, live search engine in Utah County. The search has listings of all Spanish Fork Homes, condos, and townhomes for sale. When you subscribe to our Buyer's Club you will receive daily emails of every new listing and price change within your search criteria. You will have free unlimited access to every home listed for sale in Utah County. Interior Feat: Bath: Master; Bath: Sep. Tub/Shower; Closet: Walk-In; Den/Office; Dishwasher, Built-In; Disposal; Range/Oven: Free Stdng. Remarks: See 30+ Photos, Private land behind home is owned by the city. Close to Spanish fork River walk trails. Large Open Floor plan. 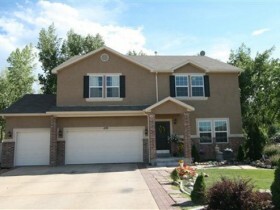 3rd Car garage, Gas Fireplace, Spacious Master with large Walk-in Closet. Easy to Show Call Today!